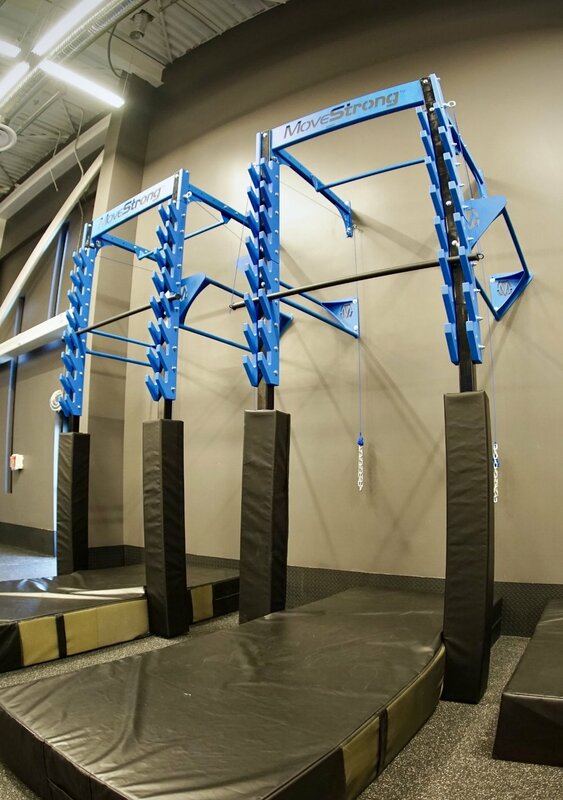 We have added new training products specifically designed for Ninja Warrior and Obstacle Course Training. 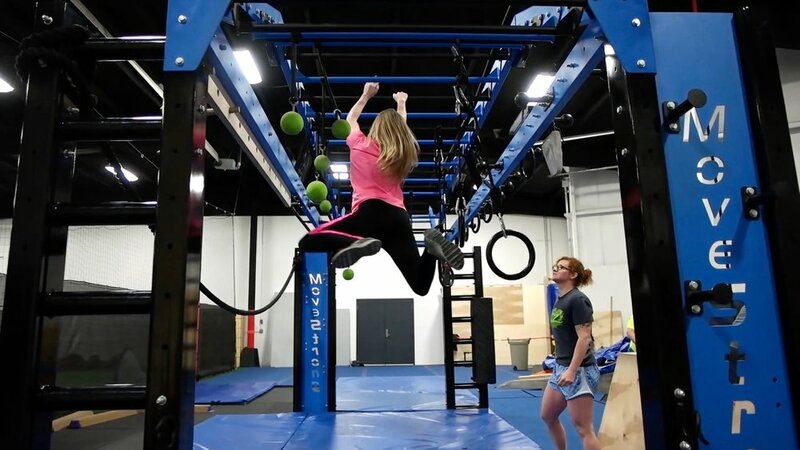 So now you can workout like a Ninja! 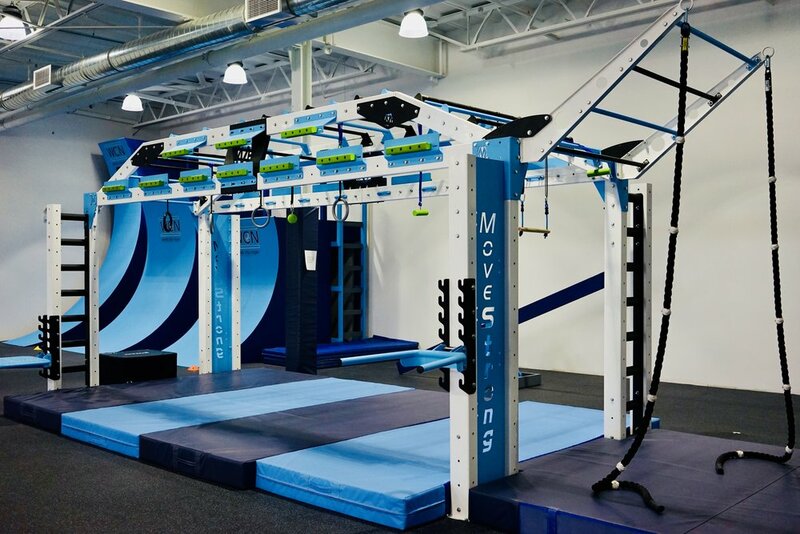 Equipment, accessories, and exercises can be scalable for all ages and ability levels.The MoveStrong Nova XL arch bridge is ideal for those seeking more overhead multi-height space for modalities and exercises that both adult and youth can take advantage of for bodyweight functional fitness training. 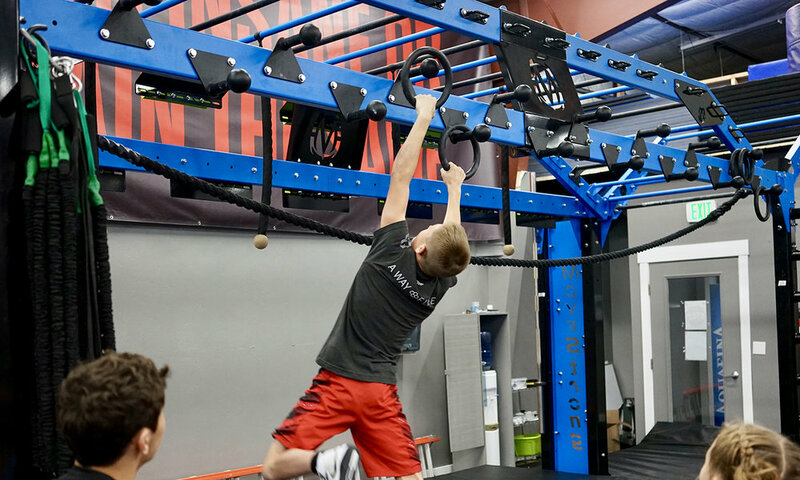 ARCH MONKEY BARS, AND MORE! 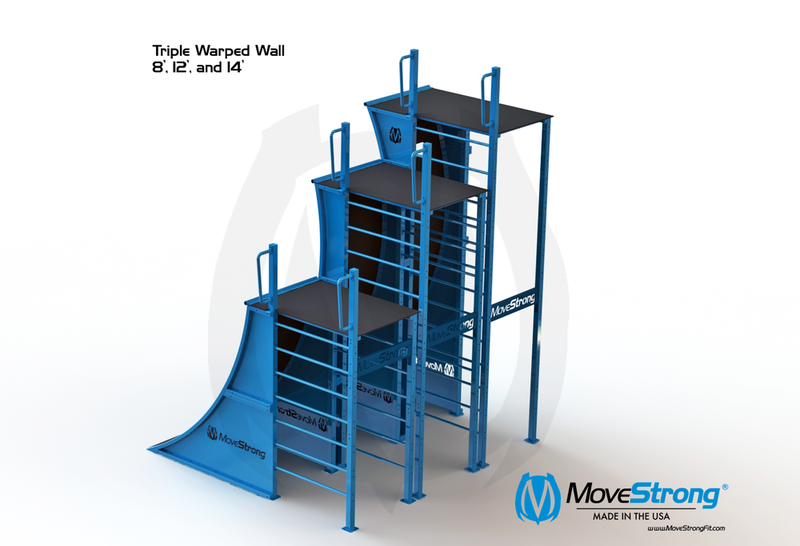 Conquer the Wall with the MoveStrong specially designed Warped Walls in three height options available individually or as triple Warped Wall modular set-up. 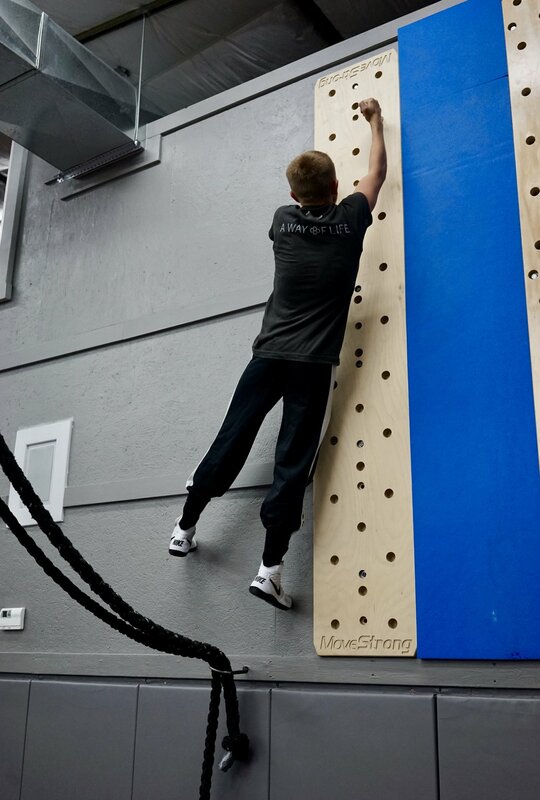 The MoveStrong Warped Wall is specially designed for commercial use to challenge those athletic skills to make the run up a 8’, 12’, and 14’ Warped Wall! 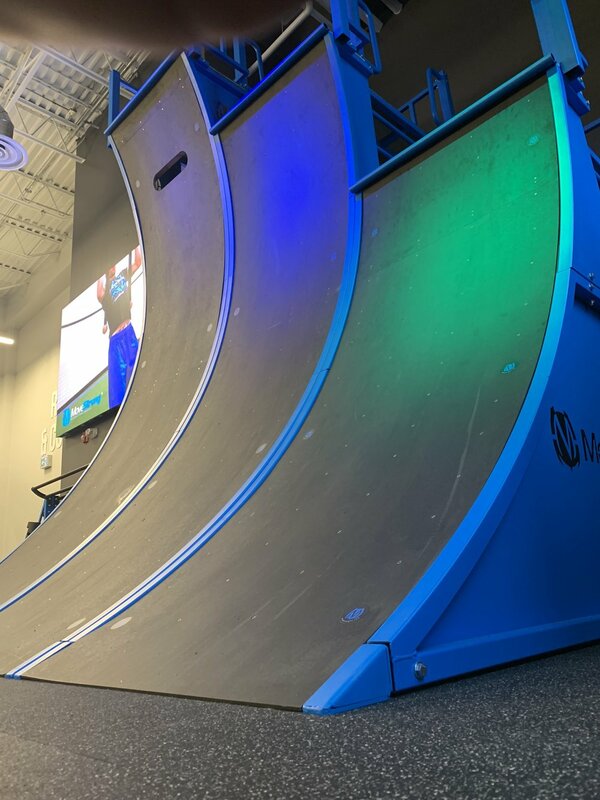 All steel frame, layered wall professional grade ramp materials, with modular ability to connect multiple Walls AND offers backside and under wall training options with pull-up bars, Lache bars, and even more modular training options to come! 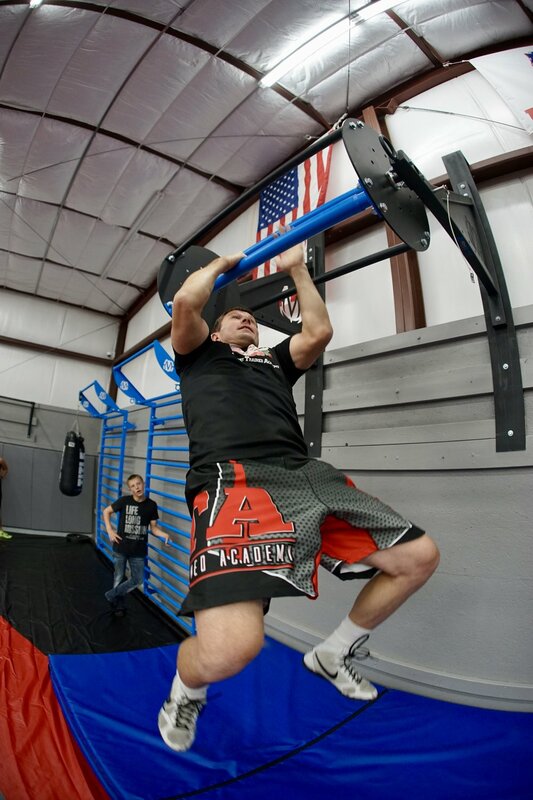 Backside and under wall training options pull-up and lache bars, rope climb. All Geo Floor Obstacles are hand crafted and offered with a charcoal color stain to help minimize signs of wear and dirt. 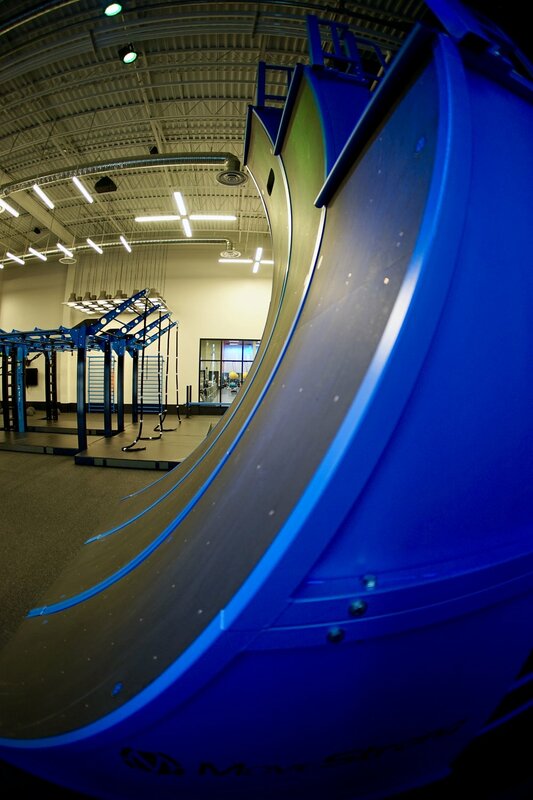 Bound, vault, leap, step, hop, balance, and crawl your way across, up, and over from each obstacle to the next. Choose from different Geo Link connectors to adjoin the obstacles with a Link Balanced beam, Link bar, or Link Tilting Beam. Three individual trapezoid shaped tiers that can be stacked. Use individually or place one on top of the other for desired height up to 4 feet tall. Great for use as vault boxes and parkour style exercise. Each tier allows the Link Connectors. Offers different heights depending side Cube it is placed on floor. Allows two heights for Geo Link Connectors. 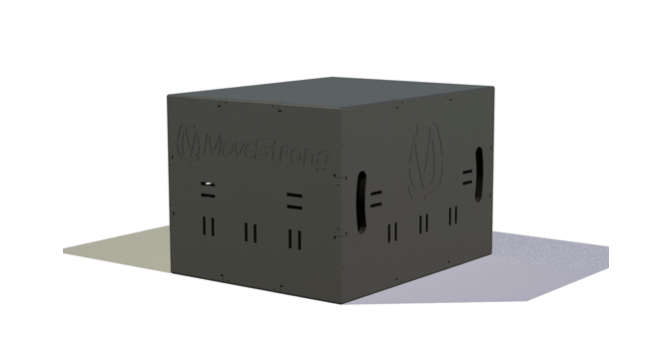 Cubes are great for plyometric training as well.